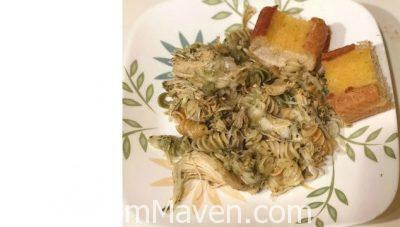 I was able to pull together a delicious new recipe out of items already in my pantry and freezer and I’m calling it Crockpot Pesto Chicken. 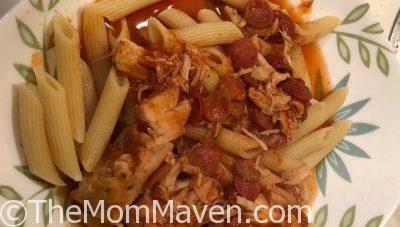 This crockpot Pepperoni Chicken with Penne recipe is an easy, tasty, and light addition to your family’s monthly menu plan. 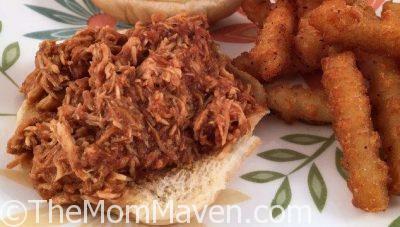 This Super Simple Crockpot Pulled Chicken Recipe is a set it and forget it type of meal, perfect for busy families. 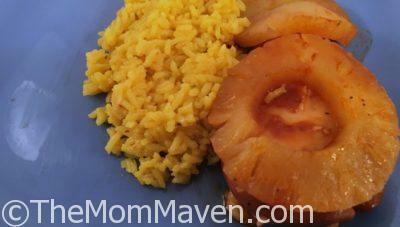 This Crockpot Pineapple Barbecue Chicken with a side of Vigo Yellow Rice was a delicious meal that was simple to make with just a few pantry staples. 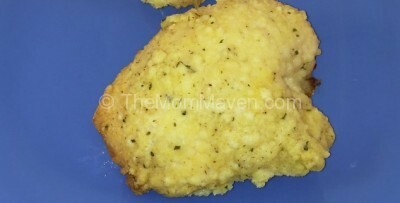 My husband and I both love this Easy Crockpot Cornbread Chicken recipe and I think you will too!